The Japan Maritime Self-Defense Force (JMSDF) and the United States Missile Defense Agency (MDA) completed a successful intercept flight test in cooperation with the U.S. Navy off the coast of Kauai in Hawaii. A Raytheon Company Standard Missile 3 (SM-3) Block IB missile intercepted a ballistic missile target, marking the first time Japan has tested the sophisticated interceptor as announced by MDA. The target missile was launched from the Pacific Missile Range Facility in Hawaii, and the interceptor was launched from the Japanese ship JS Atago (DDG-177), verifying the newest ballistic missile defense engagement capability of the upgraded destroyer. The flight test mission is a significant milestone in missile defense cooperation between Japan and the U.S. Japan currently employs the SM-3 Block IA interceptor, but the IB variant’s improved two-color seeker and upgraded throttling divert and attitude control system enables engagements with a larger set of threats. «The Standard Missile-3 family consistently demonstrates capability against sophisticated threats, both on land and at sea», said Doctor Taylor W. Lawrence, Raytheon Missile Systems president. 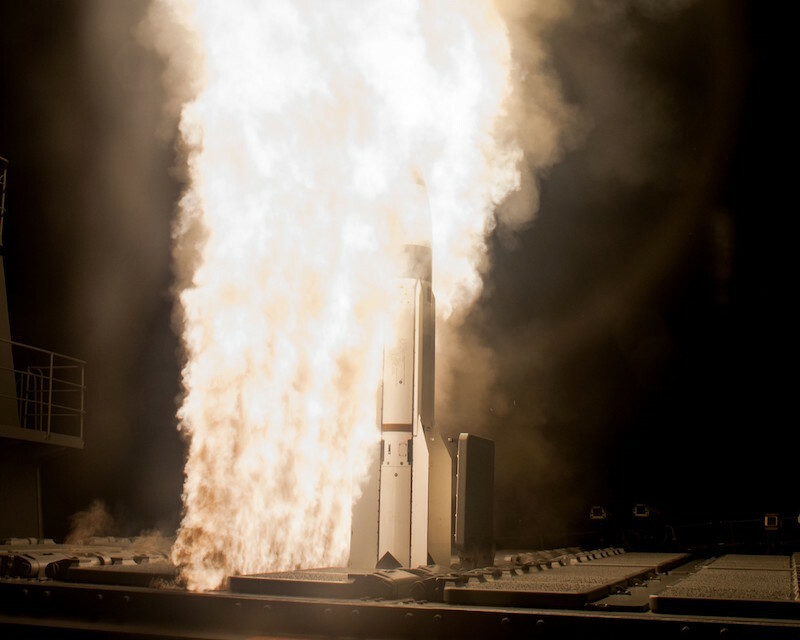 «This test underlines the importance of allied ballistic missile defense interoperability and the powerful results we generate when we work together with our allies». The SM-3 is produced at Raytheon’s Space Factory in Tucson, Arizona, and the company’s integration facility in Huntsville, Alabama.